Sweden… What comes into my mind when I think of Sweden is mooses, chilly temperatures, beautiful and well-dressed people, thick knitted sweaters and Scandinavias stunning landscapes. And this is exactly what I found here. I have been living in Sweden´s “center” since 3 weeks now. Although Östersund is geographically located in the middle of Sweden most of the population lives about 5 hours car drive south of here. Östersund is a small town of 40.000 inhabitants tho the biggest city within a radius of 3 hours car drive. The small town is located inland but still surrounded by lakes and rivers which give the city a “coasty” feeling. Östersund is proud to have a movie theater, one museum, about 5 Bars, a surprisingly good shopping area and a university. Östersund´s people are real outdoor lovers and preparing for the upcoming ski season since weeks. The city is peppered with outdoor shops selling hiking boots and sleeping bags good to minus 30 degrees Celsius. If you stroll around the lake you see women jogging with toddlers in their stroller, elderlies “inline”-cross country skiing (like skies with rolls for use in summer) and men training for their next Triathlon. I think everyone in this city has at least 2 to 3 bikes, one for the city, one for mountain biking and one for fast/ long distances. Even I became infected with sport and am now proud owner of a 80´s pink race bike and a contract at a local´s gym. 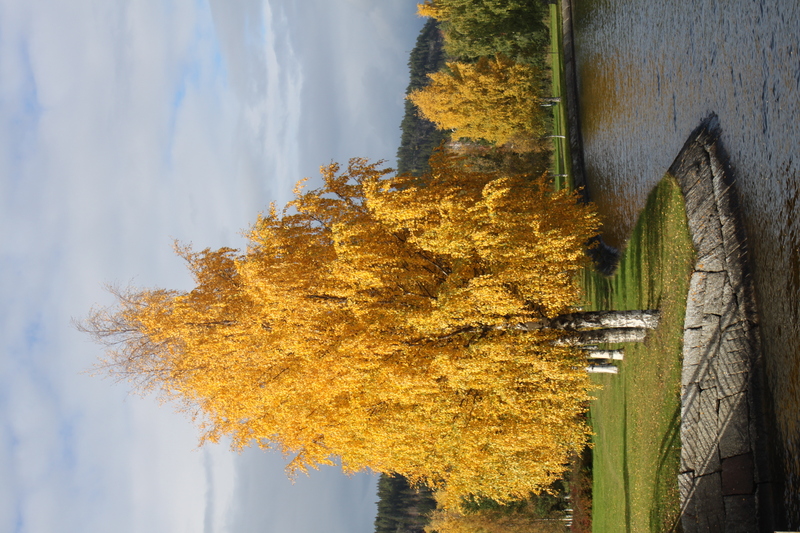 The first two weeks in Östersund I was lucky to experience the last warm autumn days and see all the trees chancing colors and loose their leaves. 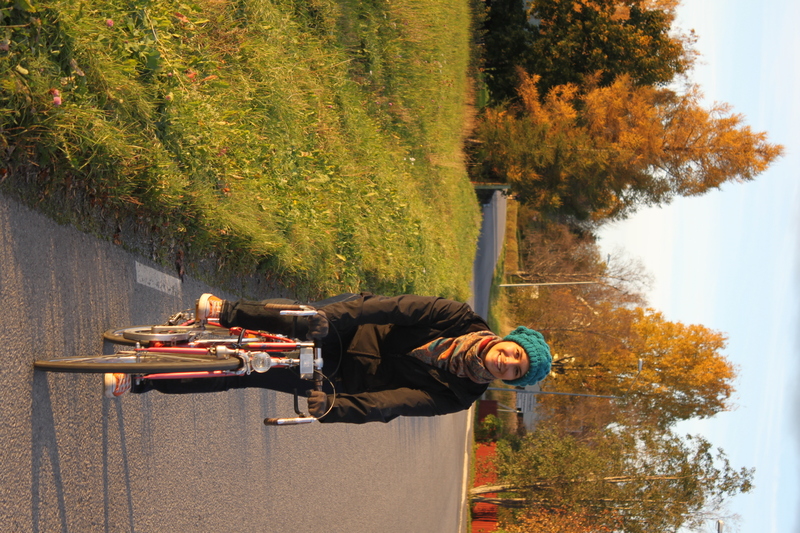 After 6 months of sunshine and temperatures seldom below 30 degrees Celsius fall in Sweden let me remember how much I love having 4 seasons. The first days I was stunned and jolly about how beautiful nature is and took tons of pictures of this event. Besides riding my bicycle on sunny days and exploring the surroundings I spend my time cooking and baking and reflecting on my travels so far. I am organizing pictures and videos and getting my mind ready for the next adventure in Argentina! I regenerate, enjoy the silence and a little bit of routine before I am heading to south America. Next week I am going to discover Sweden´s capital Stockholm and the week after that i am volunteering on Uppsala´s international film festival. I´ll keep you posted!